Every once in a while you are in the right place a the right time. 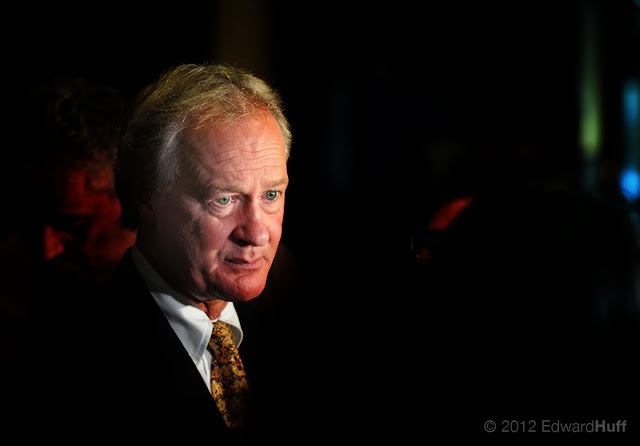 Yesterday I attended the Business Expo in Warwick and got this shot of Governor Chafee as he was being interviewed by the local media and under the bright lights of the TV cameras. I was shooting with my Nikon D300s, 50mm f/1.4 lens, 200 ISO This time the shot turned out as I had envisioned. It is very fulfilling to capture a moment in time and have everything come together as you see it through your own eyes, and have the ability to share with others so easily. Thanks for stopping by. . .